Gru's adorable Minions from the Despicable Me series have done the unthinkable! That infectious cuteness earned the little guys their very own Minions movie. 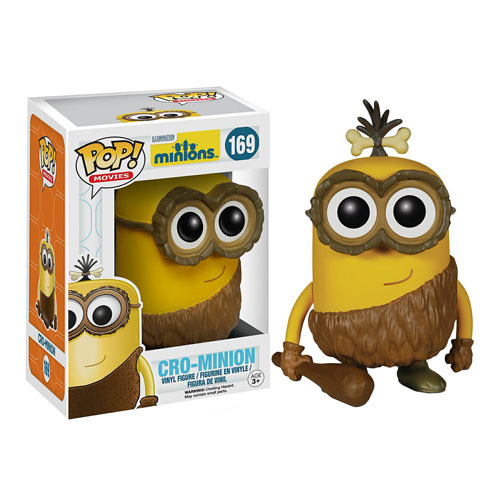 This stylized Minions Movie Cro-Minion Pop! Vinyl Figure stands approximately 3 3/4-inches tall and comes packaged in a window-display box! For ages 3 and up.